This pocket-size journal was created for travelers interested in getting to know communities and towns on their own, without any major help from travel guides or books. The main objective is to offer the traveler a tool to keep record of different experiences and observations, applying some basic methods of ethnographic research that require the active participation of the traveler in the daily activities of a given community. 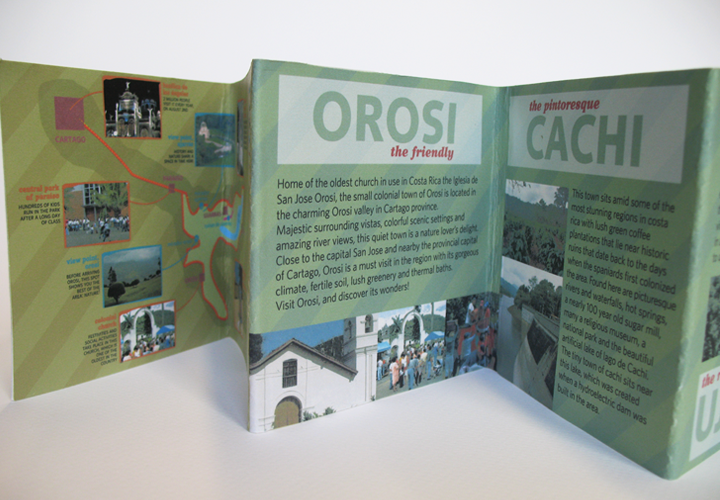 This particular example is customized to be used in the communities of Orosi, Cachi, and Ujarras, in Costa Rica. 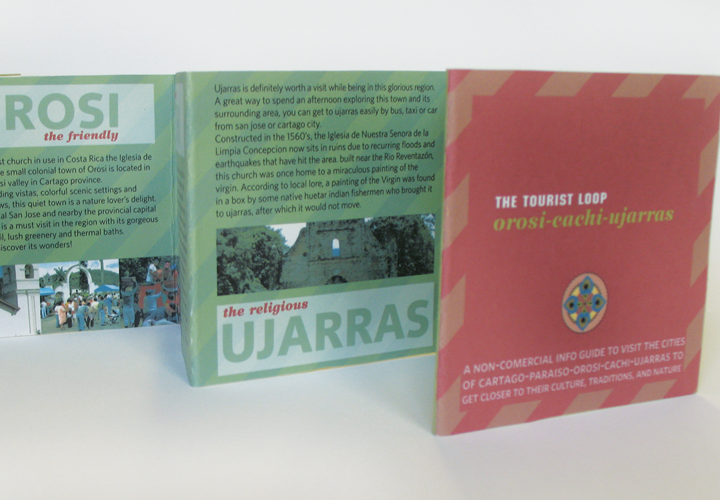 It includes some basic historic facts, a map, traditions of the communities and other important information, to encourage the traveler to keep researching and experiencing the culture. 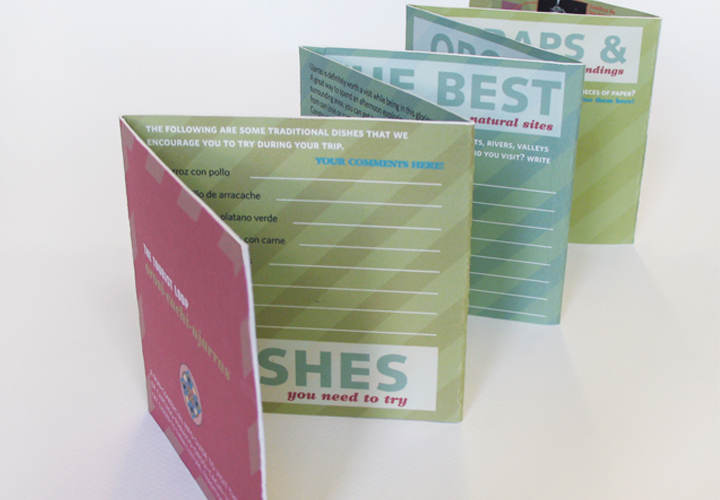 One of the sides of the guide incorporates spaces to keep record of experiences and other documentation.